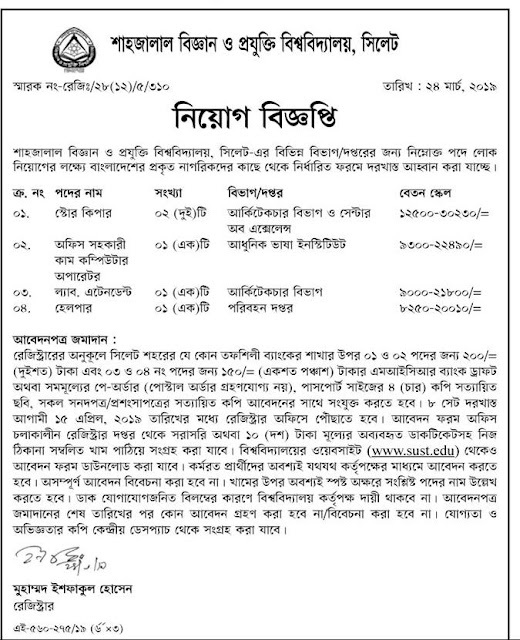 Publication of new recruitment notice of Shahjalal University of Science and Technology. Shahjalal University of Science and Technology has recently published the circular for appointment of 5 people in 4 posts. You can also join the subject according to the notice of the eligibility criteria. Apply for the posts starting from 25-03-2019 Application can be upto 15-04-2019. Interested candidates can fill up the application form and submit it till 15-04-2019.